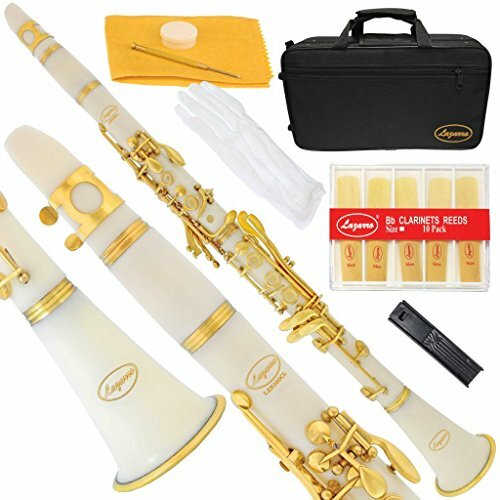 White Bb Lazarro Clarinet made from Strong High Grade ABS plastic with Gold Keys and Bell Ring. High Quality Pads produce Rich Sound, adjustable Thumb Rest. Clarinet includes all pictured accessories.